So when I put 1705 4th Avenue North, Birmingham, Ala., into my GPS for the Green Acres Cafe, my only thought was that it seemed like the Green Acres name was extremely popular (see my earlier piece on the Green Acres Motel in Dallas). So imagine my extreme delight in pulling up to the location and seeing that the Green Acres Cafe was open and ready for business. 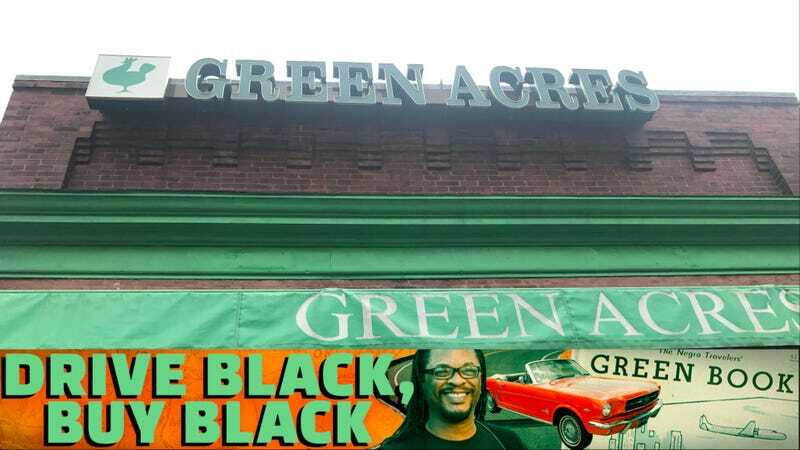 Ladies and gentlemen, meet the first black business from the 1957 Green Book that still exists! Founded by Charles Gratton, the Green Acres Cafe is known for its delicious chicken wings (and I can testify to how good they are! ), their pork-chop sandwiches (ditto on the goodness) and their fried green tomatoes (ditto again. Crispy and tart). But of course, like everything in life, you can’t get everything you want. For the first time on #TheRootTrip, the relatives wouldn’t do an interview or allow photos from inside the cafe (except for a memorabilia wall) without permission from the owner, Greg Gratton, who was unavailable. So alas, I’m missing the great personal story, since I had to move on to Atlanta. But head over to the Green Acres Cafe and get its wonderful food so that in another 60 years, we’ll still have it around.